Considering the environment when you’re building will also determine which options are best for your home. As an environmentally-conscious homeowner, you already recognize the best choices sometimes aren’t the most cost-effective initially, however they do pay dividends in the long run. 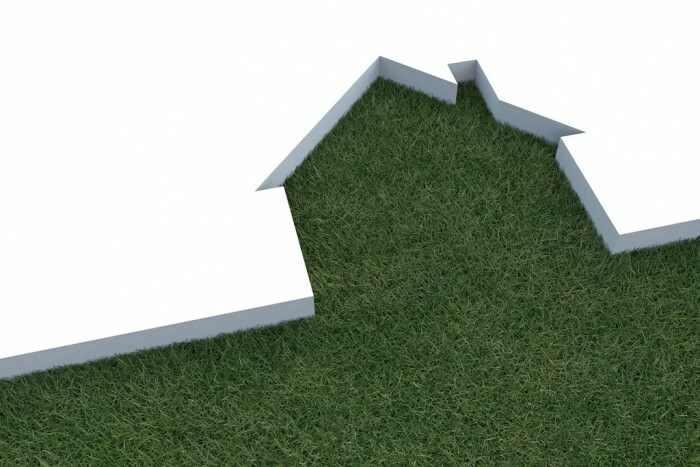 We’ve put together a list of a few considerations when building a new home from the ground up; these items may not often be the most inexpensive, but you will feel better about your home and the decreased impact it has on the environment. Whenever you’re doing renovations or building a house from the ground up, you will inevitably have waste that needs to be removed from the job site. Unfortunately, the large trucks that need to remove these types of waste consume a lot of gas as well as emissions that are detrimental to the environment. Speak with your contractor about finding alternate ways to reduce the waste at the job site as much as possible. Examples include having prefabricated pieces constructed at a warehouse, etc. It’s important to think about reusing or recycling as much of your job site waste as possible. This way, not only are you avoiding having large transport trucks haul it away, but you are creating unique elements to your home’s decor. For instance, if you are thinking about tearing down your patio, if you have a concrete base, consider breaking up the concrete into pieces and using it to form a path in your garden or leading up to your front door. Alternatively, if your patio is made exclusively of wood, use the slats to build an uneven fence, a dog house for Fido, a bird house for Tweetie, or other DIY projects. This can be fun for the whole family as well. More often then not we see concrete or asphalt driveways and this isn’t the best solution for homes or for Mother Nature. Before homes were built in your neighborhood, consider that rain water used to be absorbed into the ground. Now, as a result of disrupting the area, water doesn’t get into the ground as readily as it used to. And concrete and asphalt paving doesn’t help either. By changing to flagstone with spacing in between the bricks, you are now allowing more water to get underground. It also adds a nice touch once either grass or other greenery starts to grow between the bricks, making for a more interesting design, while not compromising on the function. These days, there are many options for laying your roof, and they all vary significantly in terms of cost. From asphalt shingles to clay times, the shape, size, color and materials offer homeowners a myriad of options. But for those with the environment on their minds, consider natural clay tiles, particularly with cement in the mixture, as the best choice for your home. Not only do they last longer then other materials, but they won’t drain toxins as the years go by. Other things to consider when choosing roofing materials include where it was produced as shipping the materials can have a harmful impact on the environment, as well as the manufacturer and their environmental impact while producing the materials. If you are planning on installing solar panels, does the roof allow for that? How long will this material last? 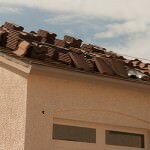 If you have to change your roof every 15 years, you’ll keep adding cost to your home’s maintenance as well as shipping and production. In a previous post, we discussed solar panels [LINK TO BLOG]. This is a great way to harness natural solar power and convert it into either electrical energy for your home or as a means to heating water for your home. Either way, you will be helping the environment and ultimately reducing your utilities bill each month.